The Swrve dashboard provides powerful, actionable insights into your users’ behavior and enables you to use this data to engage and re-engage the user. 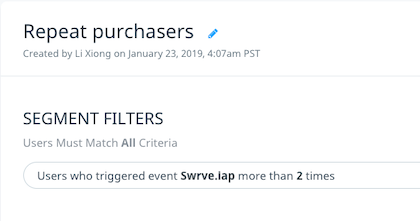 It is also useful to use Swrve data to re-engage users outside the Swrve platform or find corresponding audiences using tools like Facebook’s Custom Audiences. The Swrve User DB data enables you to do this. This article describes how to use the Swrve user DB data for Facebook Custom Audience creation. Fully instrumented Swrve into your app. Downloaded the Swrve user DB and loaded it into a database to allow querying. For a tutorial on how to automate this loading process, see Automating user DB imports. You are sending a mobile advertising ID such as IDFA, Android Advertising ID or Facebook App User ID to Swrve. For the purpose of this tutorial, the advertising identifier is sent to Swrve as a custom user property called advertising_id. In your Swrve instrumentation, you may be sending more than one advertising ID and may have names like idfa, android_advertising_id, facebook_id, and so forth for these identifiers. To start, let’s look at a sample Swrve segment. Trend Reports show important details about your segments. A good first step to take with Swrve user DB data is to attempt to replicate the data in a Swrve Trend Report with an SQL query. 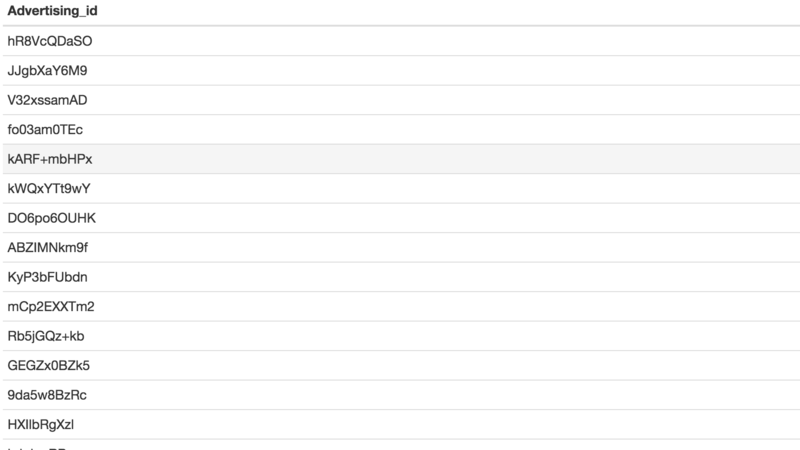 Since the Swrve dashboard updates multiple times a day and the user DB exports update at different times during the day, there may be discrepancies between the two reports. It’s good to understand this as a baseline so you know if further analyses need to take the discrepancy into account. From here, you can start to export facts you’re interested in about your users. For example, the user’s advertising_id. 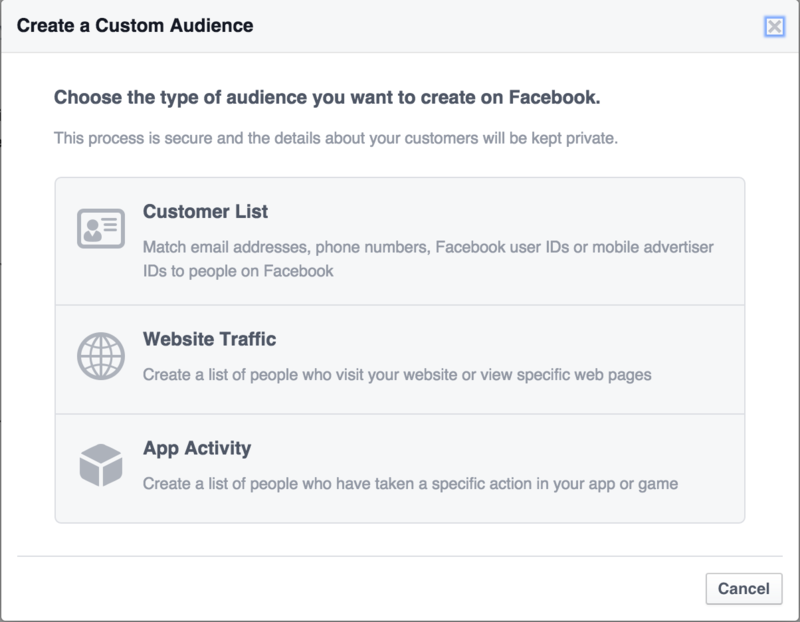 To create a Facebook Custom Audience, you need more than 20 users in your segment. With the data from your SQL query, you now have a CSV file to upload to Facebook to create your Custom Audience.